Few families could actually afford to build even the most basic burial cave. Those who could were generally of the upper classes of society, including scribes, priests, builders and landowners. Securing property for a tomb close to the city of Jerusalem would in itself come at a high premium. It would have taken not only substantial financial resources, but also political connections, even before considering the further expense of providing the extras added by stone artisans (who had the among the highest paying jobs of the time). The simplest tomb would have a plain façade with a simple forecourt for the mourners. 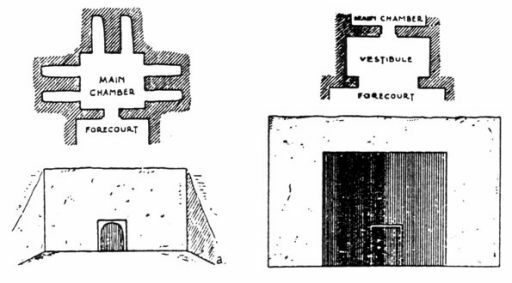 Given the existence of expendable space, a vestibule could be added to the forecourt, adding a covered area for the mourners for further privacy and protection from the elements. The most basic ornamentation was to provide a moulding around the tomb door or to the opening to the forecourt. At times, ashlar masonry is utilized to build the façade and interior of a tomb. “Herod’s Family Tomb” was built in this way. In this case, the masonry was used to beautify the tomb. 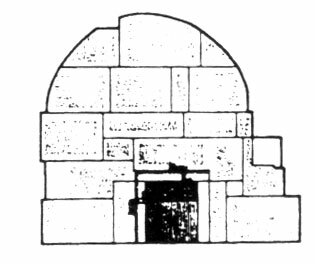 However, ashlar masonry may be used to reinforce the walls of the burial cave if the stone of the cave is too soft or cracked to stand on its own. This appears to be the case of the “Nazirite family tomb” from Mt. Scopus. In this cave, the sole ossuary is inscribed “Hananiah the son of Yehonatan the Nazirite”.